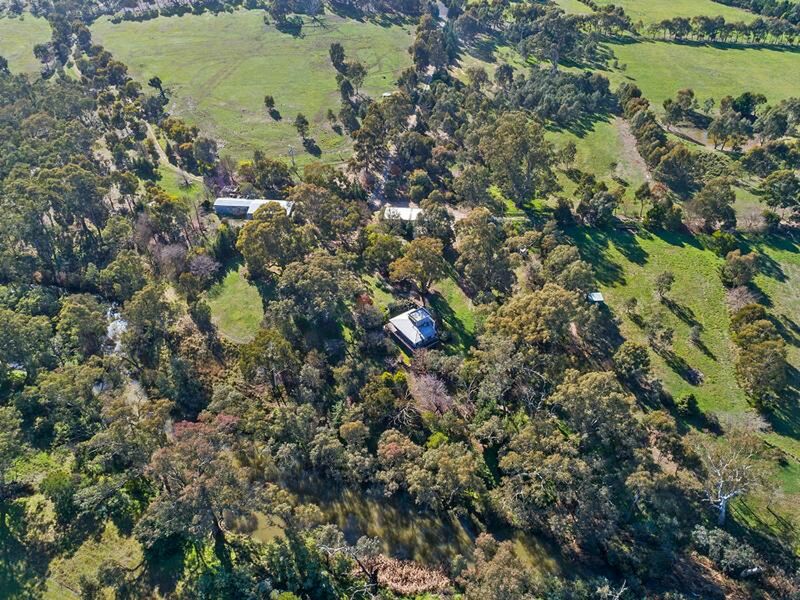 Set on approx 87 lush green acres, this very usable property offers a host of opportunities. 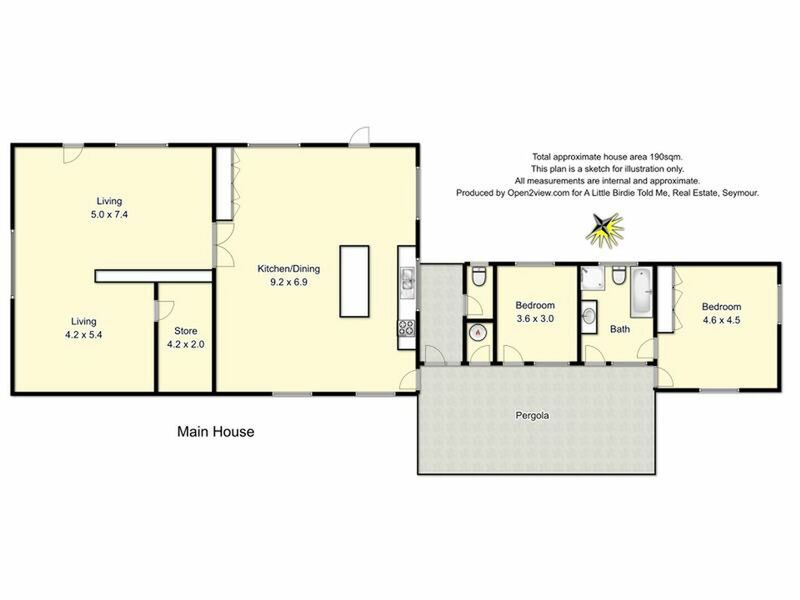 Two dwellings that can be used as a B&B, functions, living quarters, you name it! 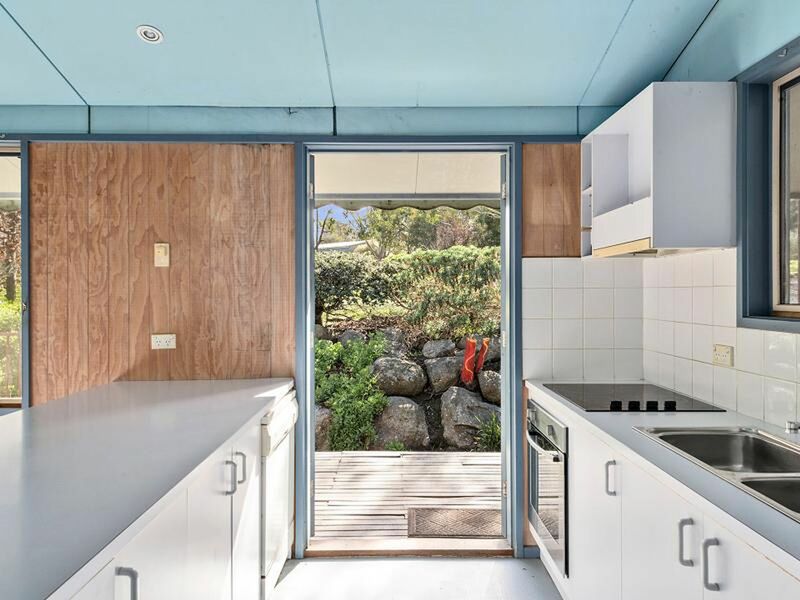 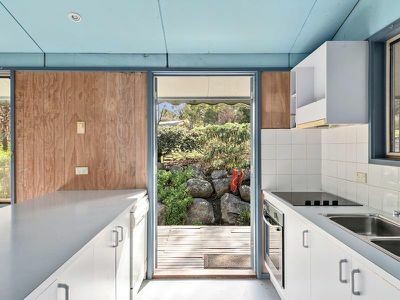 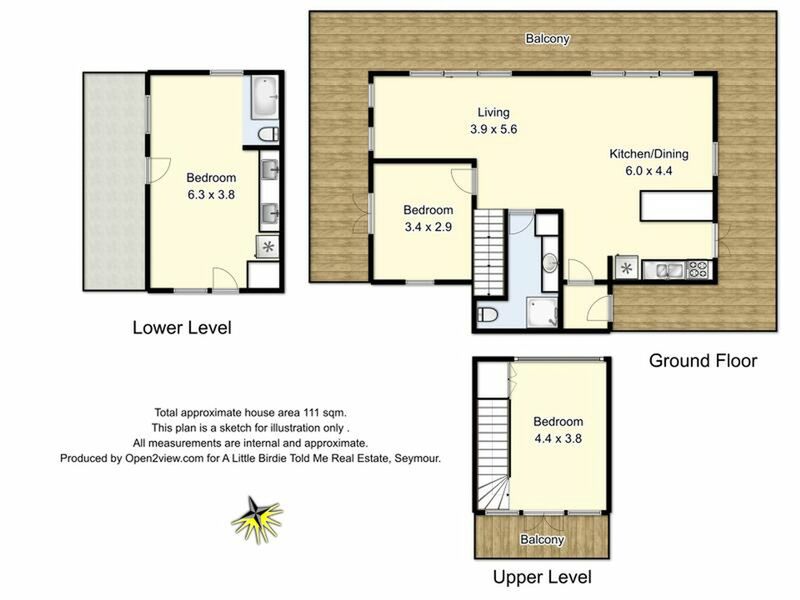 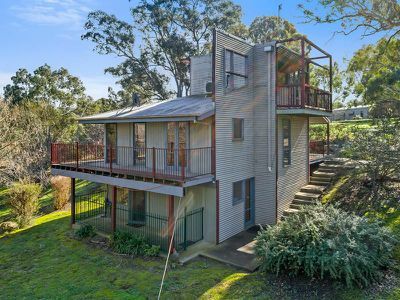 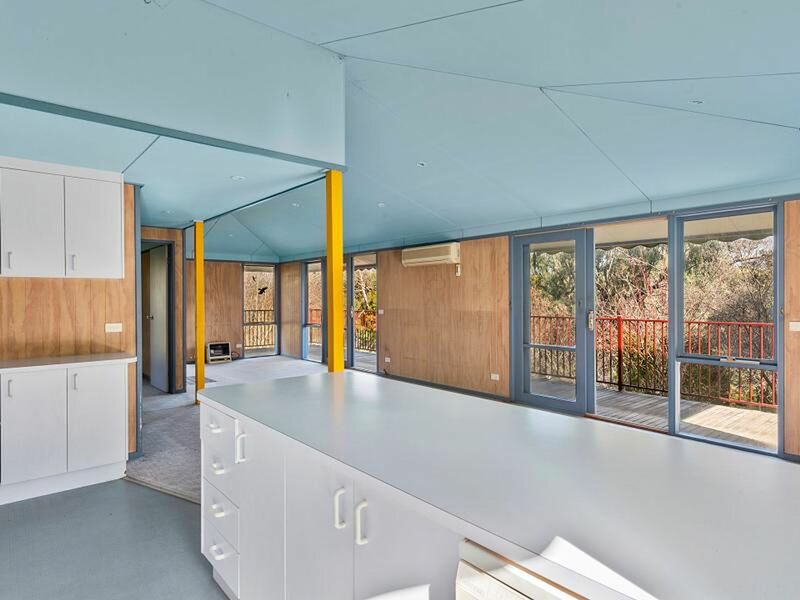 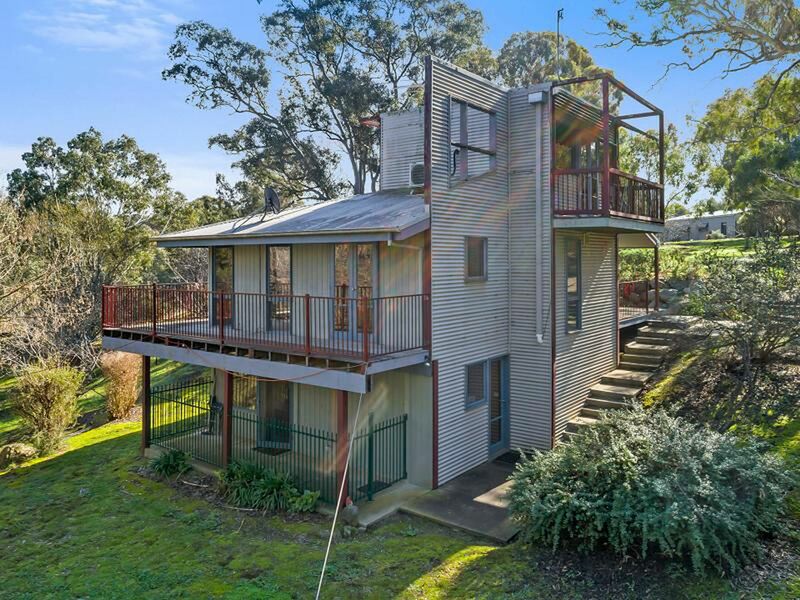 The first home is a tri level split living cottage that has a self contained unit on the bottom storey, second storey is living and one bedroom and top level is master bedroom with tree top views from every window. 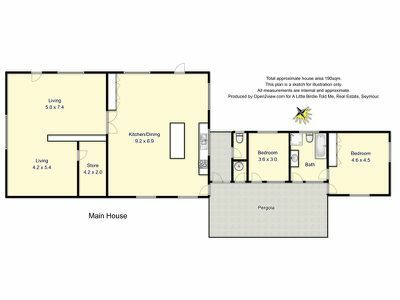 The second dwelling has two bedrooms, one bathroom with large lounge, kitchen and study nook all set on one level for ease of access. 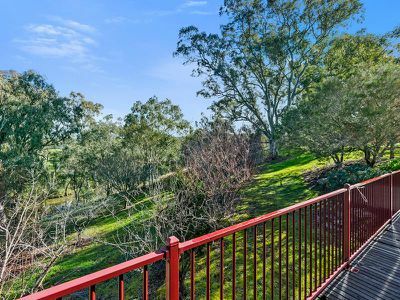 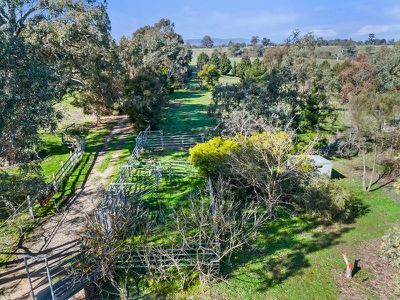 The property has been used for grazing and has concrete cattle feeders throughout, water reticulation and the most delightful cottage gardens around the homes. To get a property such as this is very rare. The land has been painstakingly and lovingly improved and the infrastructure that is there is a blessing in itself. 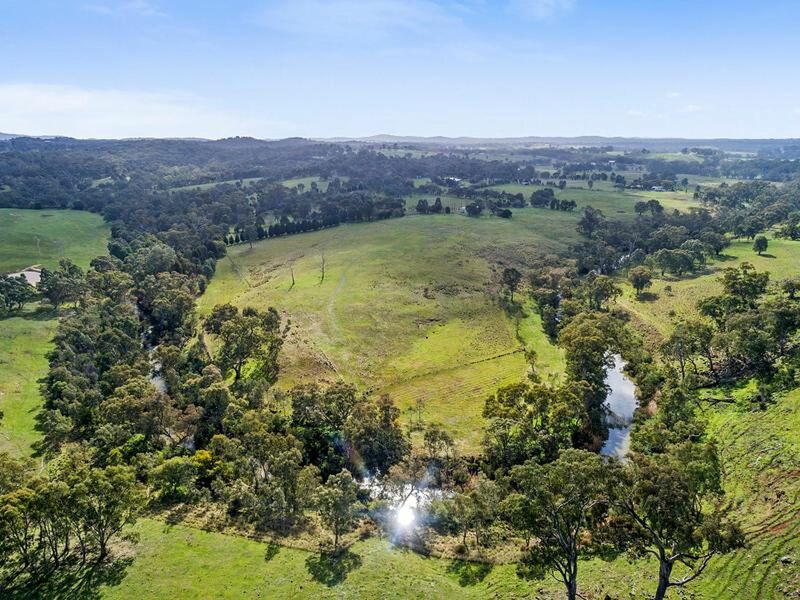 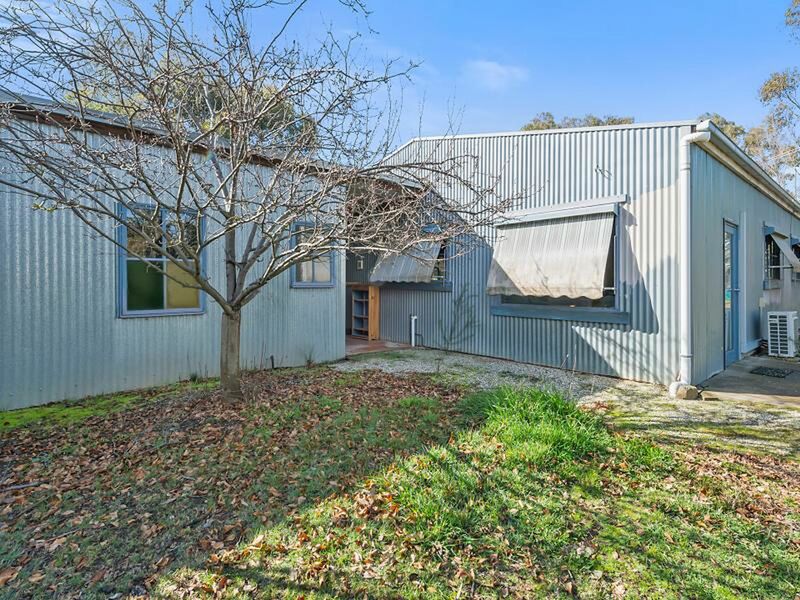 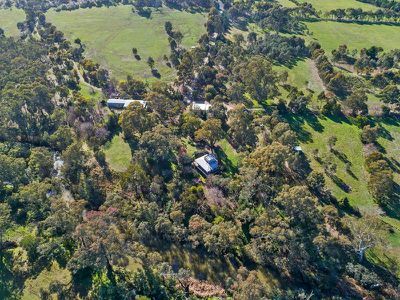 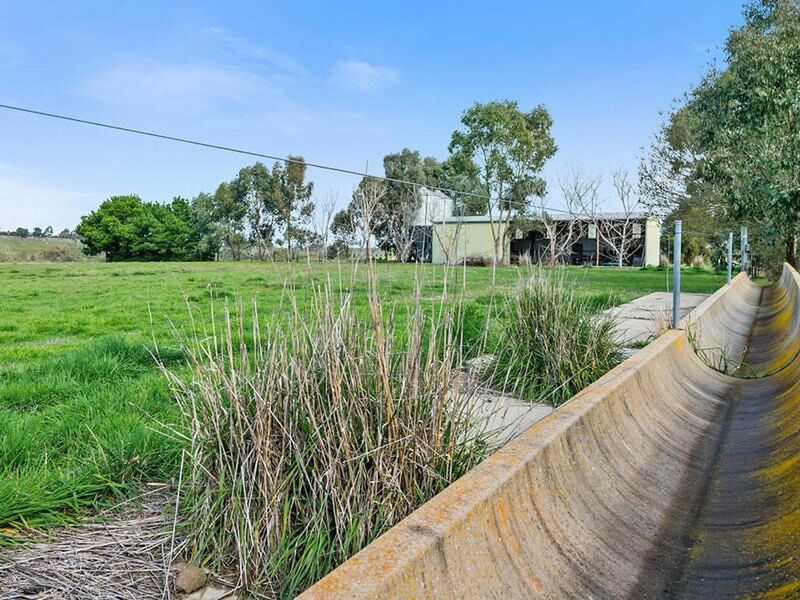 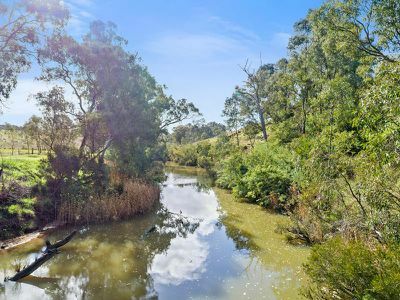 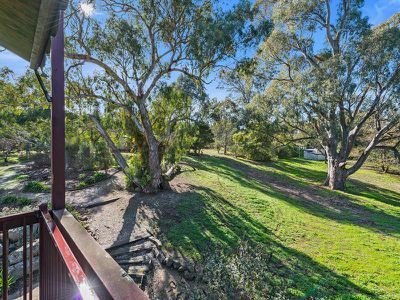 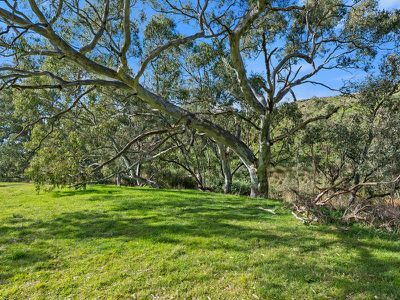 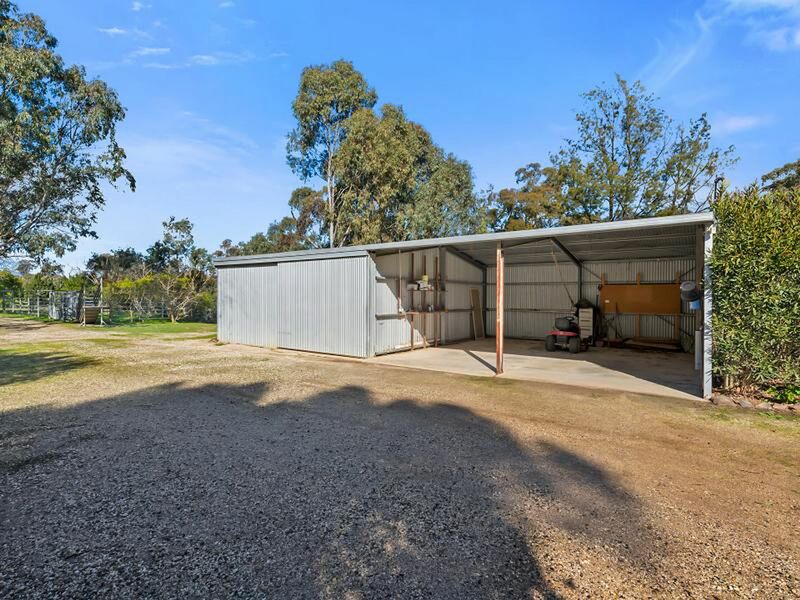 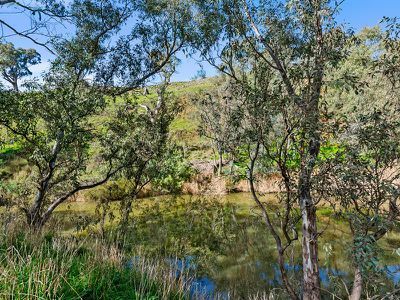 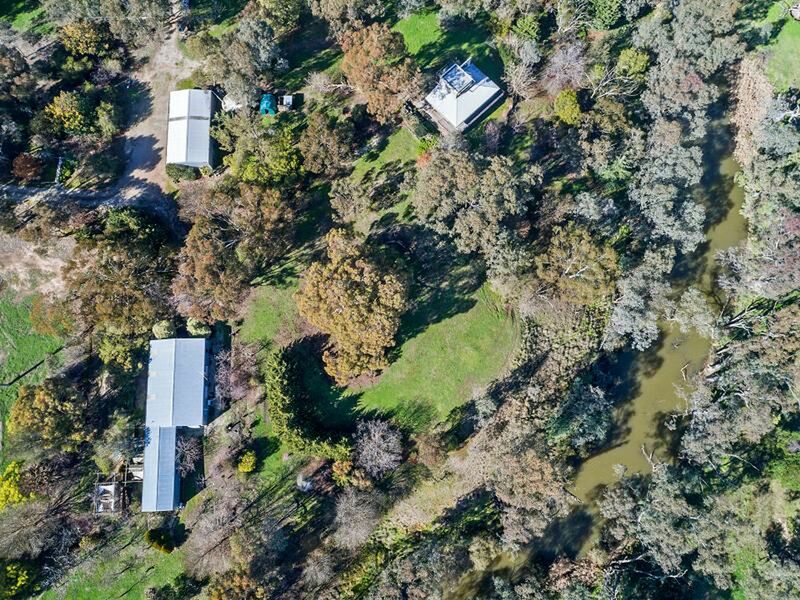 1 km of creek frontage to the permanent Sugarloaf Creek with an abundance of fish, 2 large steel frame sheds with high clearance and concrete flooring, permanent steel cattle yards with loading ramp and crush and established olive grove. If you are looking for tranquility, this is the one. 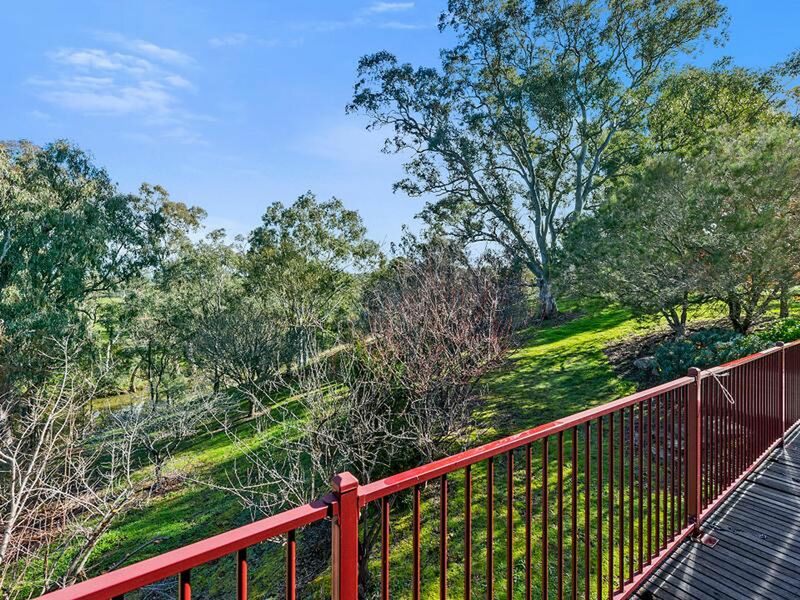 All you can hear is the leaves rustling in the wind and natures birdsong. 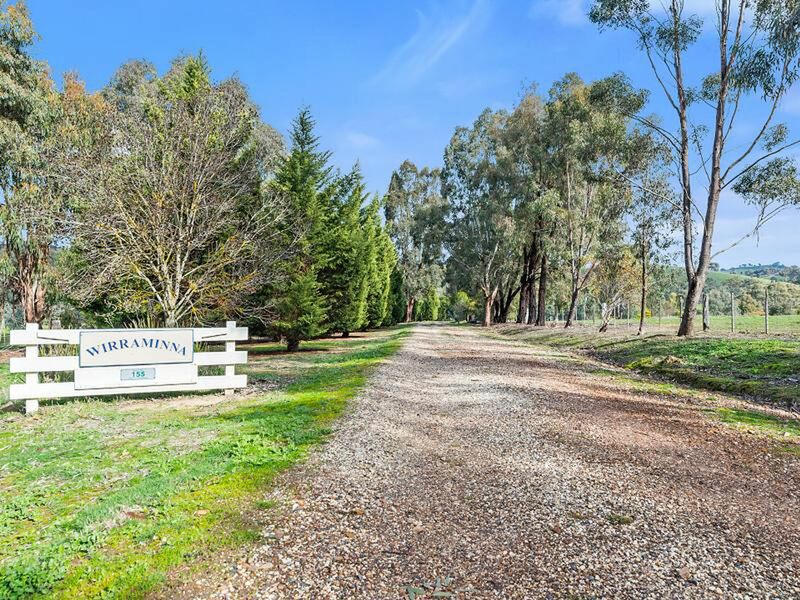 Truly a beautiful property and well worth the inspection.